Monday, Mar. 25, 2013, Monte Rio, CA. Steve called last night and wanted to kayak Jenner, so we went down there this morning around eleven. The wind was up in Jenner, so we went back to Monte Rio to kayak without so much wind. We put our boats in the water and headed down stream at a lazy pace. Monte Rio ducks are real friendly types. 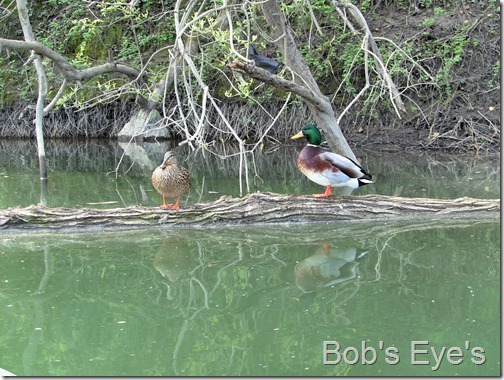 This pair of Monte Rio Mallards greeted us as we pasted. The Monte Rio ducks are fairly tame and friendly. Below is the picture of this friendly duck pair. We continued down the river and below is a view of what the river looked like going down. 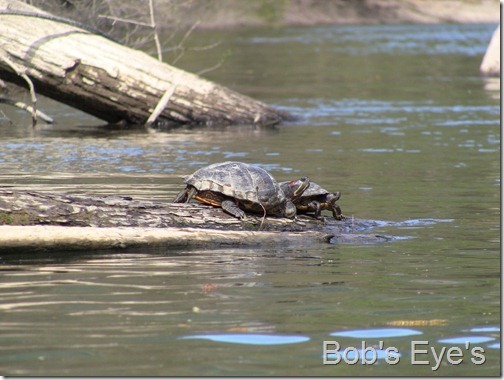 Always some turtles sunning along the river down there. 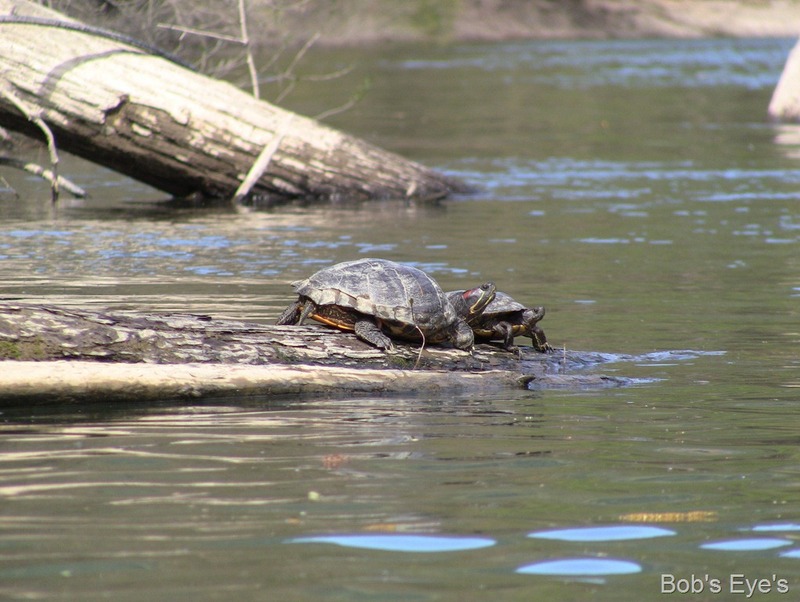 There were some turtles out along the way sunning themselves in the sun. Below you can see a picture of some of these turtles. Below you can see a picture of Steve in his kayak as we approached the Villa Grande hole. Lots of Blue Jays along the banks this time of year. We stayed at Villa Grande hole for awhile hanging out, then continued down the river for a short ways more. 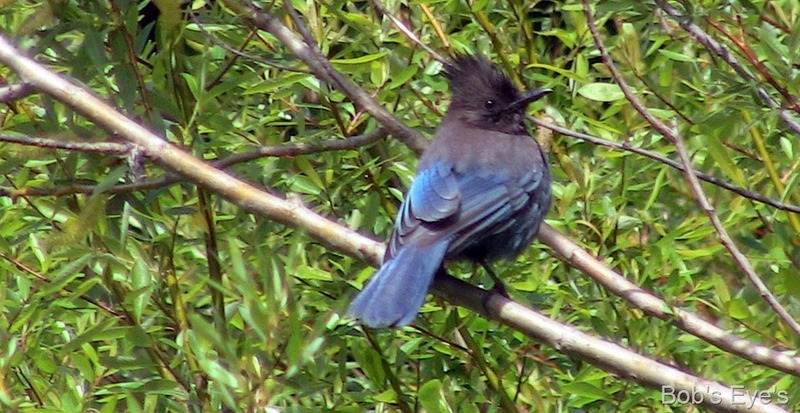 There were a lot of these Blue Jays along the river shore line today, as you can see below. We didn’t go very far down the river as it was fairly windy and so we turned back up it just below Villa Grande hole. 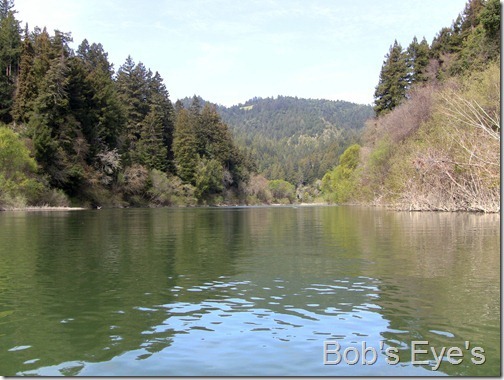 Still lots of steelhead fish in the river. While sitting in the Villa Grande hole, something slowly went by us and we investigated. 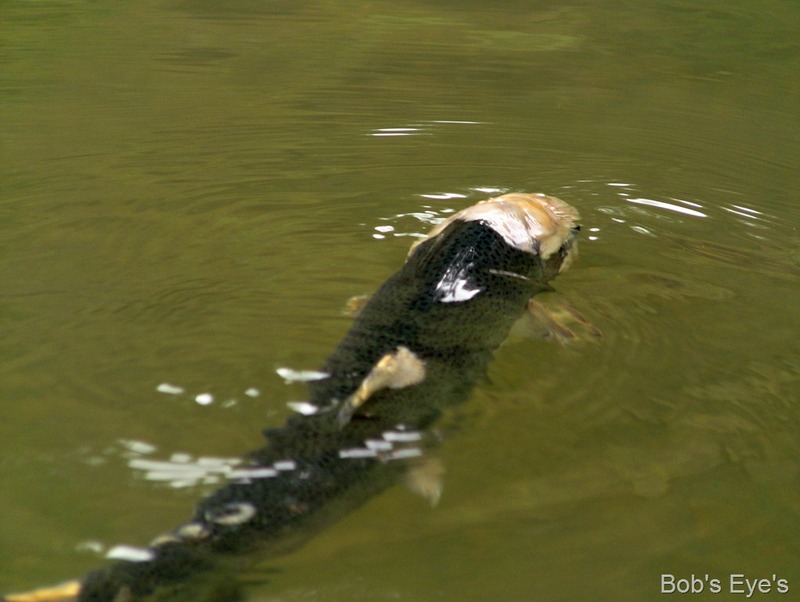 It was a spent steelhead fish slowly drifting back down the river towards the ocean. Below is a picture of this spent steelhead fish, heading back down the river. Lots of smolt in the river too. There were also a lot of little six to twelve inch trout type fish jumping in the river at different places today. Most of these are hatchery release fish that were recently released into the river to head back to the ocean. The cormorants let me down. 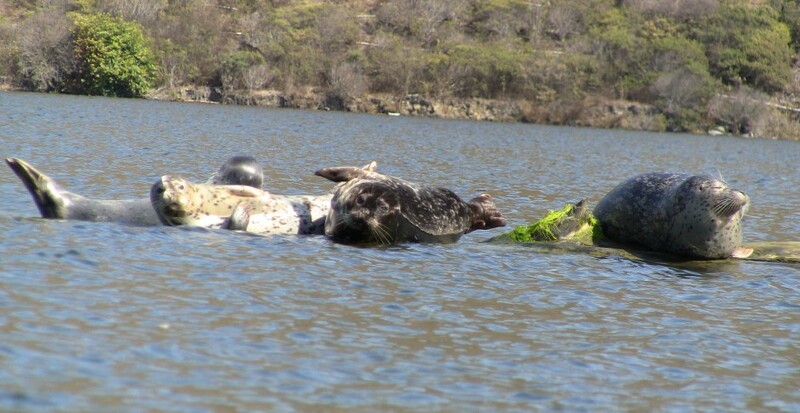 I was watching for the hundreds of cormorants that had passed by me in Jenner the day before headed up the river to dine on some of these fish. I thought they might come by a second day, but didn’t see them in the hundreds today. I only saw a few of them on the river today. It was rather cool and not much sun today, so we were off the river before four pm, when we went home. Had a nice day kayaking on the river. 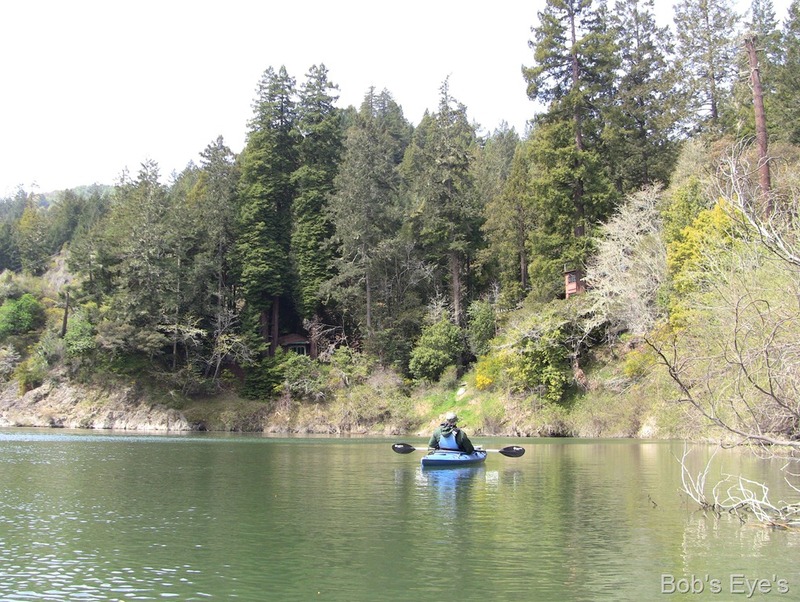 This entry was posted in Uncategorized and tagged blue jays, ducks, kayaking, kayaking Monte Rio, Monte Rio CA., steelhead, Turtles. Bookmark the permalink.